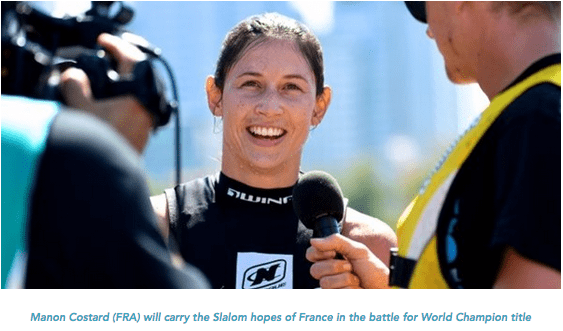 The Paris venue of Choisy-le-Roi on the City’s outskirts has certainly created a very special attraction for the current world waterski champions of the International Waterski & Wakeboard Federation (IWWF). Every single gold medalist from the previous World Championships in Chapala, Mexico, will return to defend their titles on September 6/10. With one of the most impressive entry lists for many years, one hundred and sixty of the most talented Waterski athletes will compete from Argentina, Australia, Belgium, Belarus, Canada, Chile, China, Colombia, Czech Republic, Dominican Republic, Finland, France, Great Britain, Germany, Greece, Italy, Lebanon, Lithuania, Mexico, Norway, New Zealand, Peru, Portugal, Russia, Slovakia, Spain, Sweden, Ukraine and USA. With just twelve places available in each of the weekend finals for both men and women, this is guaranteed to create enormous pressure in all three disciplines, Slalom, Tricks and Jump. In addition to individual titles, Team and Overall honours will be equally challenging. The big question this year will be, can the USA continue their great individual performances in Tricks and Slalom and will Canada’s Jump superiority give them the edge once again in the Team awards? The USA has the largest team of all this year with 24 athletes on the entry list. The strength of Canada on the other hand with the new World Jump Record holder Ryan Dodd on board, will be tough to beat. While France came third in the Team scores in 2015, with home advantage, their strength in Tricks and Slalom could well produce surprises. This year, World Slalom Champions Regina Jaquess (USA) and Nate Smith (USA) will arrive with outstanding form. Jaquess is currently ranked No.1 by the IWWF and Smith comes with the 2017 Nautique Masters title under his belt. However, Jaquess will face fierce competition from Whitney McClintock (CAN), Manon Costard (FRA) and others. Smith will feel enormous pressure too from Freddy Winter (GBR), Will Asher (GBR) and Thomas Degasperi (ITA). In Tricks, defending World Champions Anna Gay (USA) and Adam Pickos (USA), will also not have an easy run. Watch out for Neilly Ross (CAN), Erika Lang (USA) and Whitney McClintock (CAN) to challenge for the women’s gold medal. For the men, Aliaksei Zharnasek (BLR), Joshua Briant (AUS) and Pierre Ballon (FRA), could steal that World Champion title. In women’s Jump, at this time, Jacinta Carroll (AUS) is in a league of her own. While nothing is guaranteed, she is the strongest contender by far. For the men, it is a totally new scenario. With no less than eight World Records to his credit and currently in IWWF Rank No.1 position, Freddy Krueger (USA) will fight to fend off Ryan Dodd (CAN). 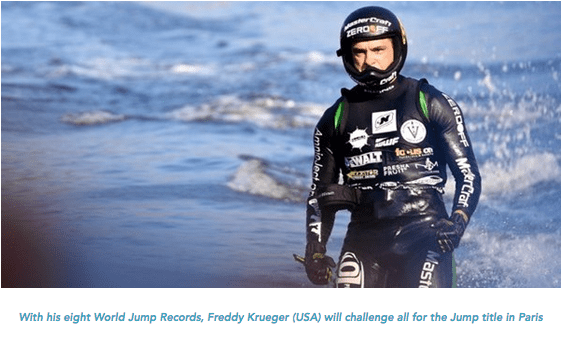 Dodd recently set an extraordinary new world Jump record of 77.4m, took the Nautique Masters title in May plus the Stokes ProAm title in August. If either should slip up, Bojan Schipner (GER) is ready to pounce, as are Igor Morozov (RUS) and Thomas Asher (GBR). 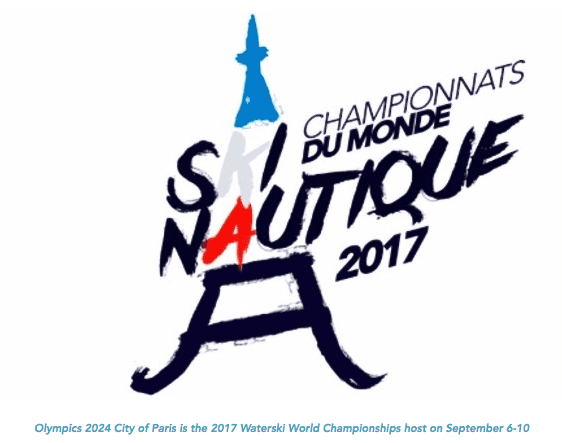 The 2017 Waterski World Championships will be exclusively towed by the world record breaking Ski Nautique 200 boat. About the IWWF: The International Waterski & Wakeboard Federation (IWWF) is the world governing body for towed watersports and has 91 affiliated Federations world-wide. It was founded in 1946 in Geneva, Switzerland. It is recognized by the International Olympic Committee (IOC) as the sole authority for Waterski and Wakeboard. The IWWF is an affiliate member of the Association of IOC Recognized International Sports Federation (ARISF). The IWWF’s sports disciplines include, amongst others, Tournament Waterskiing (slalom, tricks & jump), Wakeboard, Cable Wakeboard, Cable Waterskiing, Disabled Waterskiing, Show Skiing, Ski Racing and Barefoot Waterskiing.